What would you do if you get 5 million dollars? Here are the 7 prudent ways to use the money. Seriously - how would you spend the money? Would you invest the money in a stock market? Would you go for a long vacation? Would you save all the money in your bank? What would you do? I don’t know about you. But, if I ever get such a huge amount of cash, then this is how I would use it. First things first, I would pay off the mortgage on my second house. I would invest a part of the money for renovation as well. I will give a new look to my house - a fresh coat of paint, new pieces of furniture, carpets, etc. I will renovate the terrace and kitchen since my family loves to spend time there. The main goal is to keep the house in a very good condition. I can rent out the house and make some more money. I can sell it later also. But, I would like to rent out the house to have a steady source of income every month. Mom and dad have done a lot for me. They have taught me family values, etiquettes, and the difference between right and wrong. They have given me a good education and supported me in all my endeavors. In short, they have done more than what they could do. I can never ever dare to repay them. But at least, I can take care of their daily needs. I would pay the premiums for all their insurance policies - auto, home, health, travel, life, etc. Money can help you get a lot of free time. It also gives you a chance to pursue hobbies. And my plan is to use my hobby for a productive purpose. Not many people know I love cooking. Yes, I don’t get time to cook nowadays. But, I used to cook regularly during my college days. I would love to set up a business related to cooking. It can be a catering service. It can be a course for the people who are passionate about cooking. I have not chalked out everything. But, if I get the money, I would certainly do that. 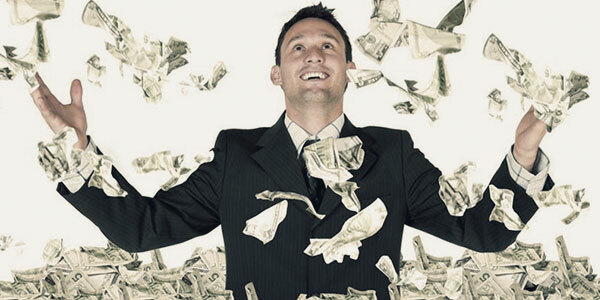 Read more: Do you say these silly things about money? It’s high time to change! No one can predict the future. So, I would use a big part of the money to build my nest egg. I would contribute to retirement savings plan so that my future is secured. I have no plans to live on roads after retirement. Absolutely not. The idea is to double or triple the amount, which is tough. Nevertheless, I would like to increase the amount. I would spread out a part of the money on taxable investment accounts. I would definitely invest in stock market, mutual funds, bonds, and other securities after consulting a financial advisor. With this amount of money, I can easily buy another property and that too in a good location. This time, I won’t apply for a mortgage. I will buy a house, big enough to accommodate a large family. I would again rent it out to recover the money (the amount I invested) pretty quick. I love traveling. I love to visit new places, taste different cuisines, and mix with different cultures. So, definitely, I would set aside a good amount for trips. Usually, I travel alone. But this time, I would take my parents with me. It’s time to show them various parts of the world. Last but not the least, I would give a small amount to charitable organizations and nonprofit organizations that work for the needy people. I would like to do something for the senior adults and community centers. I would help them to bring them into digital world so that they can kill boredom and get a new meaning in life. Have you ever dreamt of getting 5 million dollars? How would you like to spend the money? Put on your ‘thinking cap’ and let your thoughts flow. Share those ideas with us.